1. Specific Policy: Under it, any loss suffered by the assured is covered only up to a specific amount which is less than the real value of property. 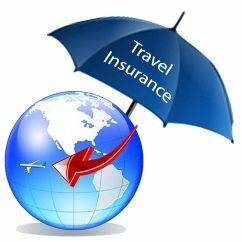 A specific policy is an example of under-insurance. The insurer generally inserts an average clause in such a policy so that in the event of loss, he only bears the rateable proportion of such loss. 2. Comprehensive policy: It is also known as an all-in-one-policy. It covers losses arising from many kinds of risks, such as, fire, theft, burglary, third party risks, etc. 3. Valued policy: Under this, the insurer agrees to pay a fixed sum of money irrespective of the amount of loss to the insured. 4. Floating policy: It covers the property lying at different places against loss by fire. An average clause will always be there in a floating policy. 5. Average Policy: A fire policy containing an ‘Average Clause’ is called an Average Policy. 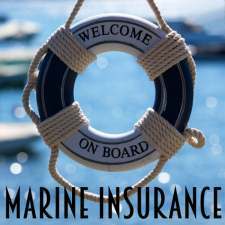 Under a specific policy (i.e., a policy without the Average clause), in the event of loss, the insured can claim up to the full amount of his policy, even if he has under-insured his property. Suppose, the property insured for Rs. 10,000 is valued at Rs. 20,000 at the time of loss. This is a case of under-insurance. In case of policy without an Average Clause, if the loss is say, for Rs.8,000 the insured can claim this full amount from the insurer. But, if the policy is ‘subject to average, i.e., if it is an average policy, the insured will be paid (Rs. 8,000 x 10000 / 20000) = Rs. 4,000 only. 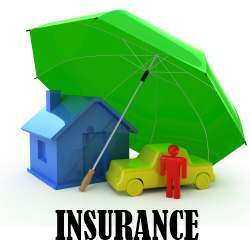 Thus under an average 20,000 policy, the insured is penalized for under-insurance of the property. 6. Adjustable Policy: Adjustable policy is issued for a particular period on the existing stock. The premium amount is paid in full at the time the policy is taken. Any variation in the value of the stock covered by the policy is intimated to the insurer by the insured. The insured, on receipt of such an information, endorses the policy in accordance with the change intimated and the premium adjusted. The premium is finally settled at the expiry of the policy. 7. Blanket Policy: Blanket policy is issued to cover more than one named building or property, or all the contents of more than one named building. Under such a policy, all the fixed and current assets of a manufacturer or a trade lying in different buildings can be covered by one policy at the same premium. 8. Consequential Loss Policy: It is a policy under which the insurer agrees to indemnify the insured for the loss of profits which he suffers due to the dislocation of his business caused by fire. It is also known as loss of Profit Insurance. 9. Valuable Policy: The value of property insured is determined only at the time of happening of risk. In case of risk, the market value of property would be the basis for payment of compensation. 10. 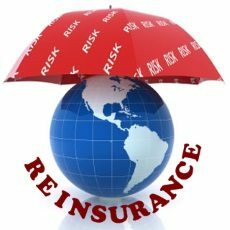 Reinstatement Policy: If the insurer undertakes to reinstate (replace) the insured property in case of risk, it is called as reinstatement or replacement policy. 11. Transit Policy: It covers risk due to fire during transit. The policy commences with the loading of goods in the carriage and ends once the goods are unloaded at the destination.